If you are a first time parent, there are sessions you will have to attend before your child is baptized. Baptisms usually take place in the church on a Sunday at 12:30 once a month. 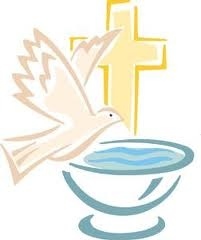 Click here on Baptismal registration and download the form to fill it out. Then email it to Fr. Henry. His email address is frhenrys@gmail.com and he will get back to you. Or you can go to our office at 65 Green St. in Yarmouth to pick up a form and then return it there when it is completed.